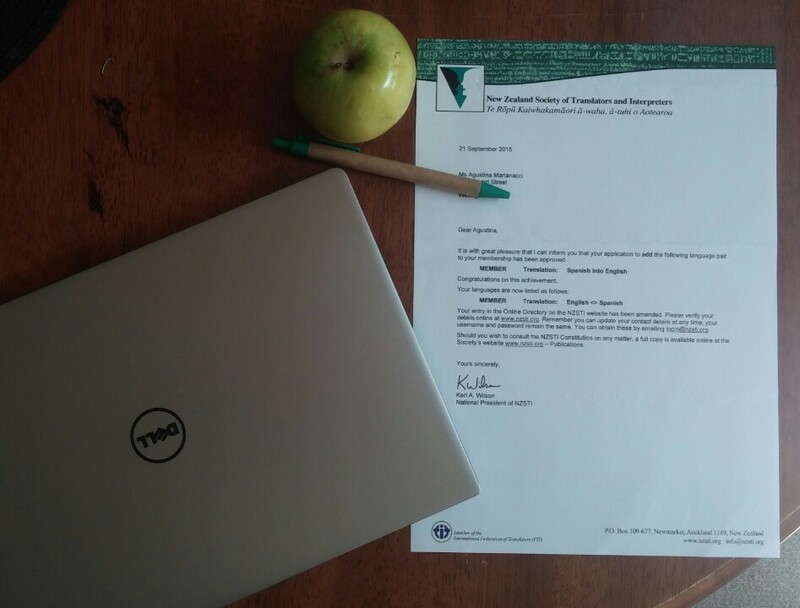 The New Zealand Society of Translators and Interpreters has decided I am qualified enough to offer certified translation services into both Spanish and English, and I can’t be any more excited! New Zealand government agencies, for example, demand certified translations of all documents you turn in, which ensures it is not realised by an untrained person, computer translation software, or a friend or family member who is not a professional linguist. 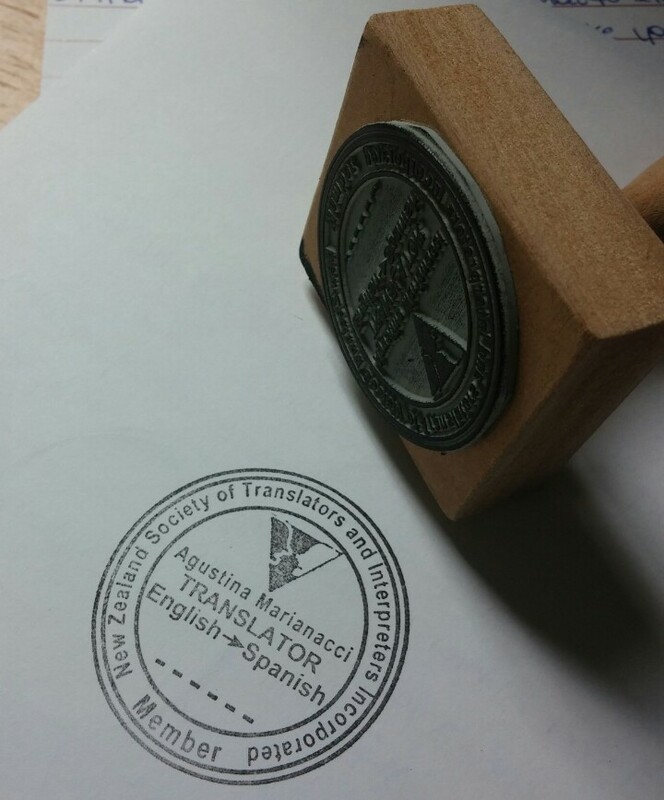 Certified translations should bear the stamp and signature of the translator, which in this case looks like that pretty stamp above, provided by NZSTI. 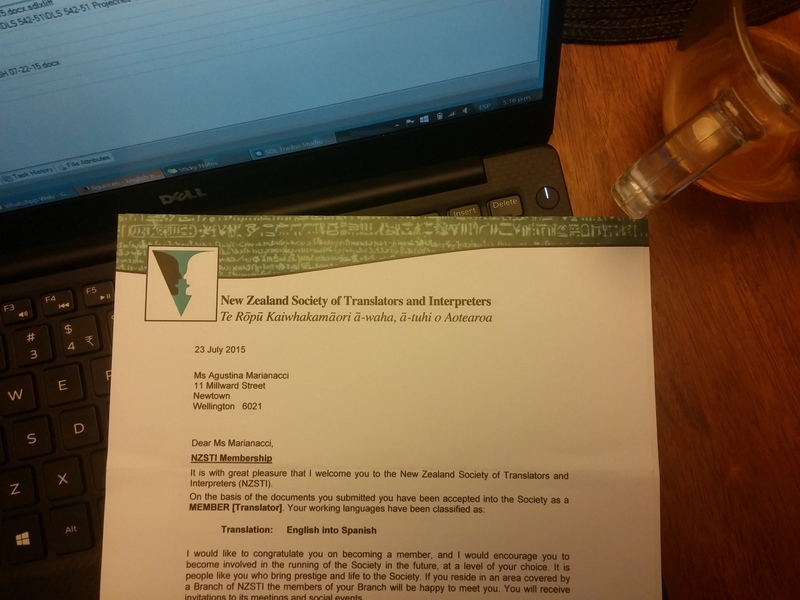 I am truly excited after receiving this letter from the New Zealand Society of Translators and Interpreters today saying I’ve been admitted as a member! 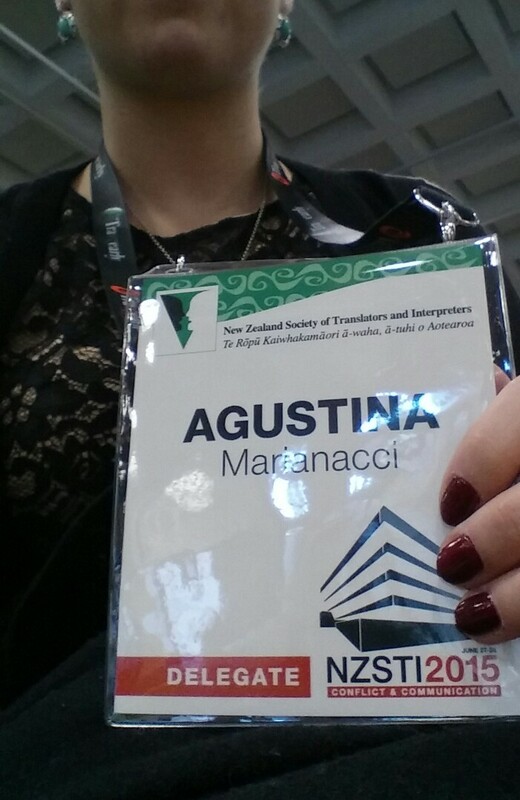 NZSTI is the representative body of translators and interpreters in New Zealand, which promotes the professional development of both translators and interpreters, as well as strives to maintain the highest quality standards within the profession. This basically means that they are somewhat of a “translation and interpreting police”, looking after each one of us translators and interpreters, fighting and working for us, while striving to keep order (and quality) in the field. Attending NZSTI Conference in June 2015 was quite an experience. What a good opportunity to learn and meet fellow translators in a country in which I’m still a little bit of a foreigner.